Batman: The Dark Knight Returns #1 (1986). Highest ranked copy and a stunning NM/M. 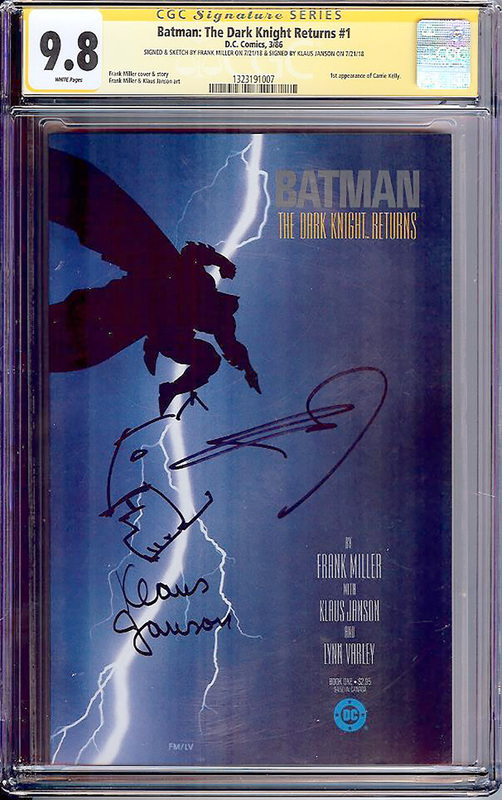 This book is a CGC Signature Series, signed by Frank Miller (Writer/Cover Artist/ and Artist) and Klaus Janson (Artist). This copy also features WHITE pages.